Yellow Magician font is decorative font which is designed by Érico Lebedenco. This font is labeled as Various font. Yellow Magician font family has 1 variant. This font has a interesting mix of sans serif and serif characteristics wich makes a cool impression of atemporality. It was created for MAGUS LUDENS trademark (http://www.magusludens.com/). A brazilian company, located in Rio de Janeiro, that works with game developing. The Yellow Magician font is licensed under a Creative Commons Attribution Share Alike License (http://creativecommons.org/licenses/by-sa/3.0/). 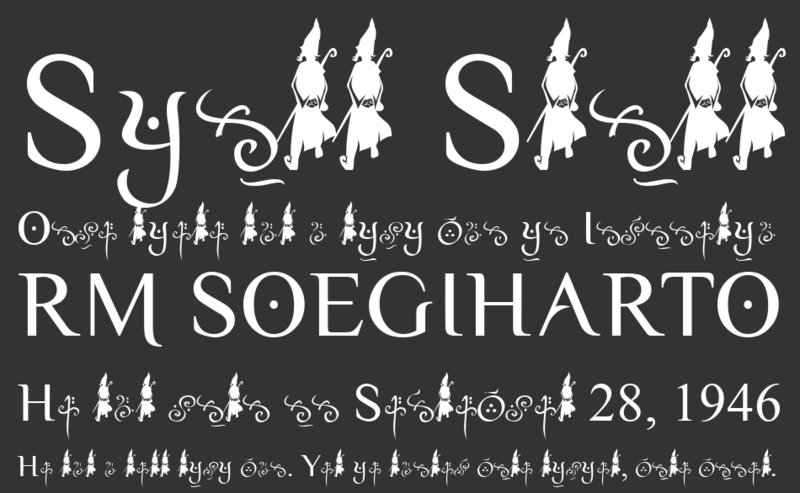 Yellow Magician font is one of Yellow Magician font variant which has Regular style. This font come in ttf format and support 411 glyphs. Based on font metric, Yellow Magician Regular has usweight 400, width 5, and italic angle 0. This font is labeled as .